Special thanks to Ferrante & Teicher, Marty Boratyn, Kevin Elliott, Brian Giorgi, Chris Hicks, Steve Knapp, Paul Lichtenstein, Kim Mansfield, Stephanie J. Mansfield, Steve Massie, Andy McKaie and Dan Richardson. The tragedy of September 11th 2001 is very personal having grown up in New York City, attending grade school, high school and The Juilliard School of Music. Our debut was in Town Hall and we have performed in Carnegie Hall and Lincoln Center. We share the pain of those who lost their loved ones and those brave and honorable firemen and policemen who gave their lives in order to save others. Having been born, raised and having received all of our education both musical and academic exclusively in the United States, it is only natural that we have a strong penchant for all things American. 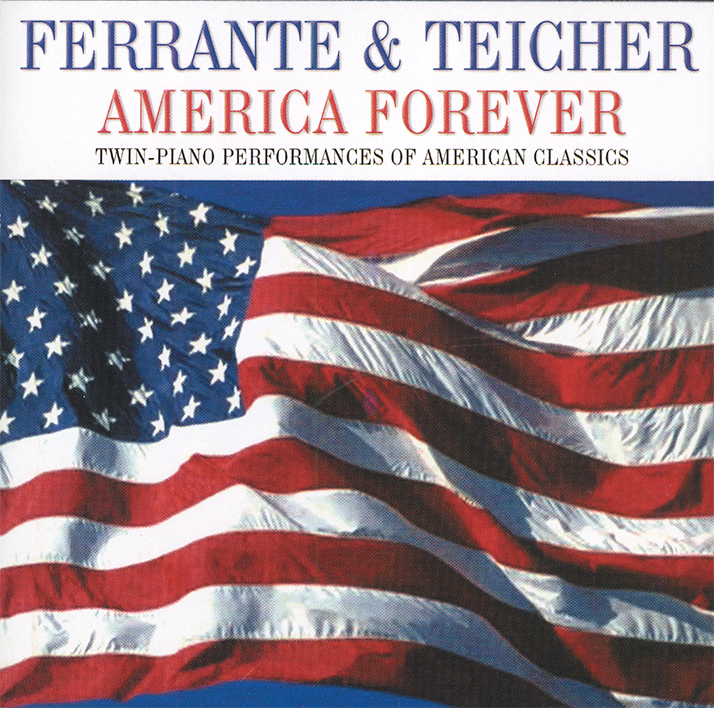 This is especially true about our affinity for American music be it classical, pop, folk or patriotic as evidenced by this collection. We sincerely hope that you enjoy listening to this collection of musical Americana as much as we’ve enjoyed performing this great music over the years.